A report by the World Health Organization declared the West African country of Sierra Leone free of Ebola transmissions on Saturday, stating that no new cases had been discovered in the past 42 days. That equates to two full incubation periods, which is the required waiting period for a country to be declared Ebola-free. The good news follows two full years of tragedy after the disease began spreading in late 2013, ravaging Sierra Leone’s remote districts and leaving much of the country’s economy in shambles. According to the WHO, officials would be moving forward cautiously but keeping an eye on any potential flare-ups. Since May 2014, 8,704 people have been infected, 3,589 of whom died from the effects of the virus, WHO reported. Over 200 of the recorded fatalities were healthcare workers. According to officials, the outbreak, which is ongoing in neighboring Guinea where the virus first originated, has killed over 11,000 across western Africa in total. The 2014 Ebola outbreak has crippled various parts of West Africa since the first reported case in December 2013. According to officials, the root of the outbreak itself could be traced back to one young boy living in the Guinean village of Meliandou. Two-year-old Emile Ouamouno first contracted the disease in late December, suffering from bouts of fever, vomiting, and bloody stool before finally succumbing. Reports later showed that the boy’s mother Sia, who was pregnant at the time, and 3-year-old sister Philomene both died within days as well. “We thought it was a mysterious disease,” Dr. Kalissa N’fansoumane, director of the nearby Guéckédou Hospital which treated many of the region’s Ebola patients, told The New York Times in December 2014. It wasn’t until 12 weeks after Emile’s death that WHO and local health officials were able to diagnose the disease as Ebola. Unfortunately, the diagnosis came too late. The rapid spread of the virus in the weeks following Emile’s case was monumental: According to WHO numbers, within two months, 26 people across Guinea had perished, with thousands more to come. The rate at which the total number of deaths began stacking up was shocking to WHO officials, given that Ebola itself is generally not easy to transmit. Some, however, noted that regional burial practices may have helped speed the transmissions along. Within a year of the initial outbreak, WHO officials announced that at least 26,000 had been affected by the disease, the deadliest epidemic since it was first discovered in 1976. The outbreak continued to spread unabated for another full year. 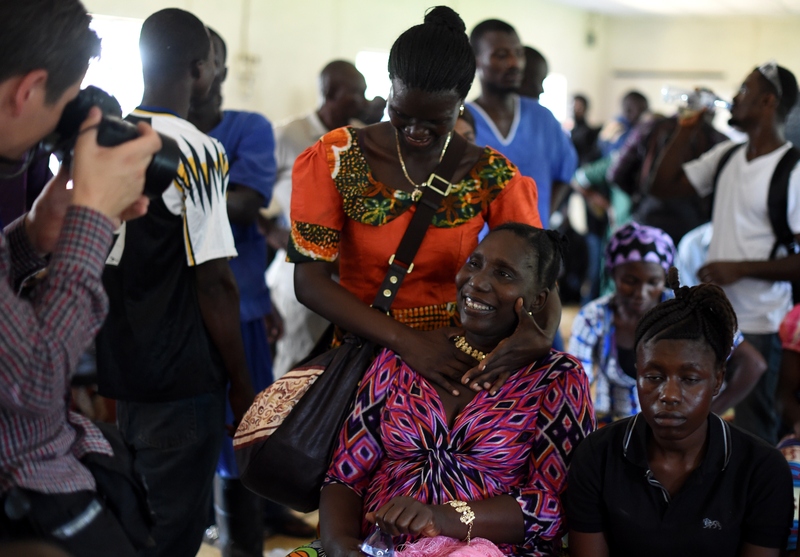 Finally in May 2015, officials in Liberia, one of the hardest-hit countries with an estimated 4,806 fatalities, announced that the country was Ebola-free, after 42 days without a new case. The country was affected with a handful of isolated incidents over the following months, but was once again declared Ebola-free on Sept. 3. With the new announcement out of Sierra Leone, WHO officials believe that the horrific epidemic is finally beginning to draw to a close, thanks in part to new “Ebola checks” at border crossings and increased education about proper hand-washing. The world had never faced an Ebola outbreak of this scale and magnitude and the world has neither seen a nation mobilizing its people and resources as Sierra Leone did. The power of the people of Sierra Leone is the reason why we could put an end to this outbreak today … We now have a unique opportunity to support Sierra Leone to build a strong and resilient public health system ready to detect and respond to the next outbreak of disease, or any other public health threat.